Stately maple trees from Mr. James Blair’s maple bush surrounded S.S. No. 1 Fitzroy, built on his property (Lot 22, Con. 4) in 1866 for $400. When the school closed in 1965, pupils were bused to Fitzroy Habour. Mr. Milton Blair purchased and renovated the schoolhouse into a seven-room residence. Sadly, this building burnt to the ground in 1980. This schoolhouse was located about one mile from Antrim village. It replaced a log structure, built in the late 1860s on 2nd Line Road in Fitzroy Township. 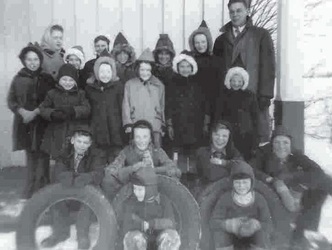 Students used to ride their horses to Howe’s School in wintertime. 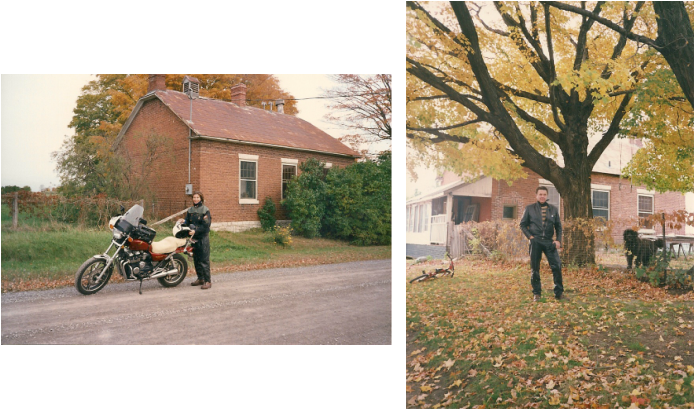 They boarded them at two stables just north of the school - one owned by Mr. E. New, and the other by Mr. A.A. Timmins. The building was torn down in the 1970s. The original log schoolhouse was built in the 1850s. In 1869, Robert Jackson was the teacher, and the following year Miss Alda Halpenny taught with a salary of 45 pounds per annum. The youngest child in the school, Ephriam Story, was given the honour of carrying the school desk bell to the new school built in 1872. It was built by Robert Ring for the staggering sum of $800. In 1874, the school was rented as a church for $4 a year. In 1902, Miss Lena Moorhouse instructed 52 pupils, compared to Miss Bella Hinds who only had ten to handle in 1923. During World War I and II, the school was used as a place to raise funds for the war effort. It was also used as a dance hall on occasion. 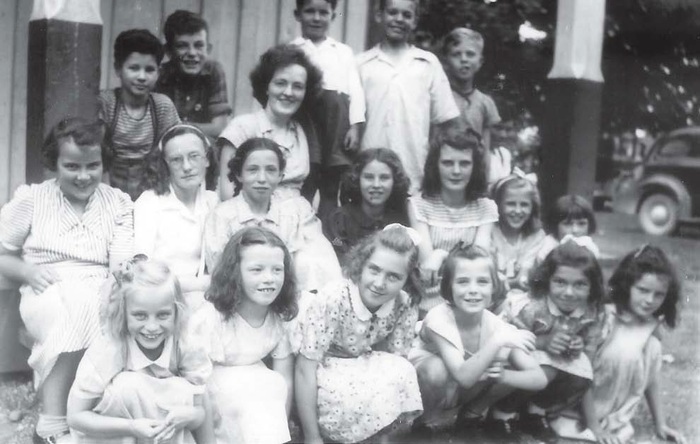 The last teacher was Miss Herbert, a daughter of Anglican Bishop Reed of the Ottawa Diocese, when the school closed in 1967. The building housed Web Mulder’s machinery until it was burned to the ground in 1996 in a suspected cased of arson. Graham Hudsonstill has the old manual school bell from S.S. No. 3 Fitzroy. 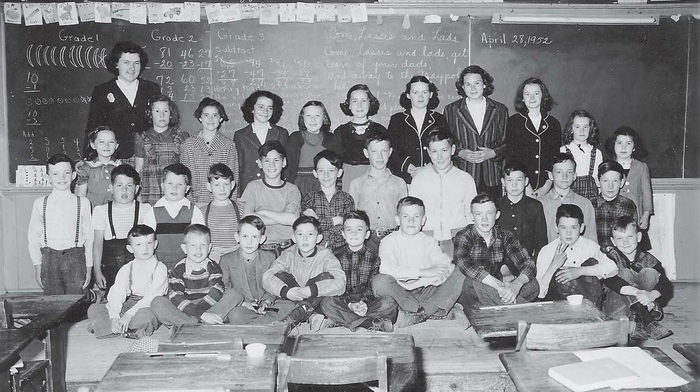 In its lifetime, the school was a place of employment for 43 teachers and a place of learning for hundreds of children. The first school site, part of Lot 17, Concession 8, was bought from Isaac Smith in 1849. Another school was later built on “Lillie Sideroad”. 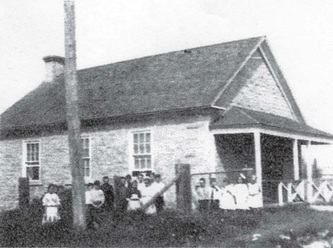 A third school was erected in1867 on Samuel Gourlay’s property for $60. The building was replaced in 1900 when it was condemned by Inspector Cowley. The school has been converted into a private home owned by Richard and Taysie Cavanaugh. In 1857, the first school in S.S. No. 5 Fitzroy was a log building known as the White School on Carry’s Side Road. Christopher Armstong donated the land for the school. There was a small log home beside it for the teacher’s residence. By 1863, there were 41 children on the roll. 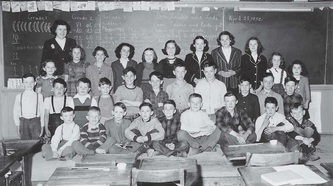 In later years, a Continuation class was set up for Grades 9 and 10. 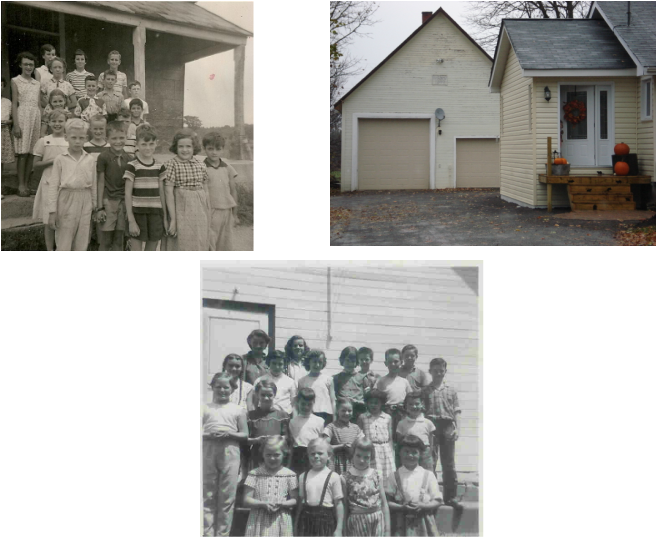 With the arrival of new settlers and an increase in school attendance, the school became too small, and in 1915, the school area was divided into two sections with two separate schools. Due to a larger population in Kinburn, a new, graded school, S.S. No. 11 Fitzroy, was built in the village. A modern brick building on the 7th Line (now part of Donald B. Munro Drive) was built as S.S. No. 5 Fitzroy. It remained in use until 1967, when the Fitzroy Centennial Public School was opened in the village of Kinburn. 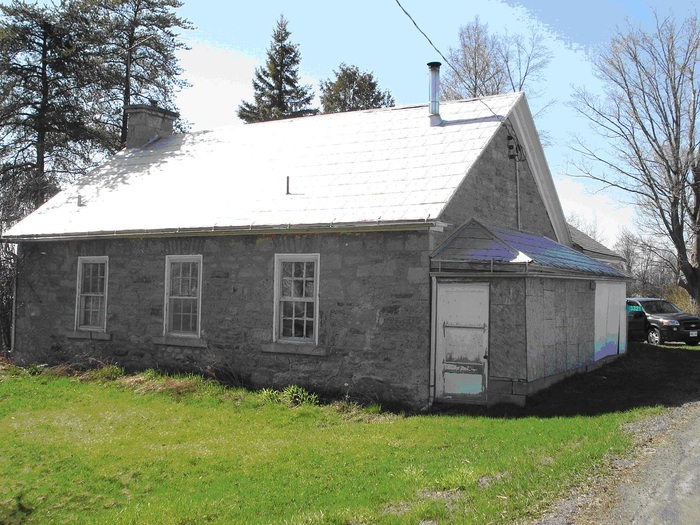 Mohrs Corners School was the second log school built in the township of Fitzroy in 1855. When attendance swelled to 70 or 80 pupils, the brick school was erected in 1868 for $800 on land purchased from Archibald Riddell. Three early male teachers were Mr. Elliott, Richard Foster and Robert Wilson, the latter holding classes in bookkeeping. Charles Mohr donated property for a school garden in 1903, and a library was installed in 1906. The building still exists as a home. Samuel Stevenson donated land in 1862 so that S.S. No. 7 Fitzroy could be built from stone hauled from a nearby quarry. David Alexander, a relative of the Stevenson family, was the first teacher. In 1872, a new school was built, and Joe Wallace, the teacher, lived in the old school. The school closed in the 1960s, and today Valeriy Buznytskyy has made it his residence. Charles Shirreff built the first log school in Fitzroy Township 1832 in Fitzroy Harbour and Mr. Ramsay was the first teacher. In 1853 the village school was opposite the old Shirreff home. 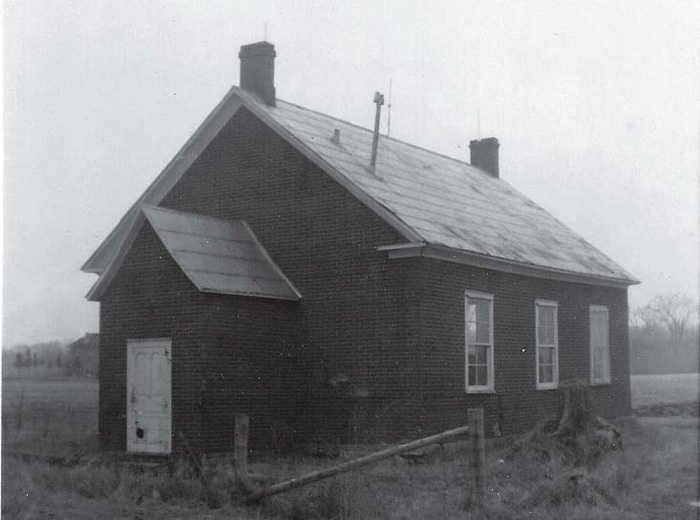 With an increase in population, a two-room brick school was built in 1873. The public school was in one room, and the continuation school (Grades 9 & 10) was in the other. A fire in the wood stove burned the school to the ground in 1918. It was rebuilt, added on to, and remained a school until 1988. In 1893, Fitzroy Township had twelve School Sections. The buildings were all log structures. School Section No. 9 had an average attendance of thirteen pupils. The date, visible on the structure in the background, indicates S.S. No. 9 Fitzroy was rebuilt in 1897. Ross McCord owns the former school, which has been converted into a garage. A log school was built on Lot 16, Concession 1, on the Martin Johnston farm in 1871. Later, a frame building was erected on the William May property, Lot 23, Concession 2. Harry Toop moved it to his Third Line farm for use in his apiary business. S.S. No. 11 Fitzroy was built in the village of Kinburn in 1916. A Continuation school operated until 1946 on the upper floor while the lower floor was used for elementary classes. The building was demolished to make way for Fitzroy Centennial Elementary School in 1967. There was a log school on this site in 1865 with Margaret Mohr as the teacher to nine students. 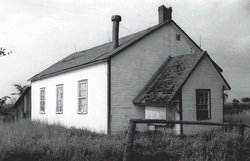 In 1886, the 40’ x 30’ school was built for a sum of $600, including desks, maps and blackboards. It wasn’t until 1951 that electric lights were installed and new plumbing followed six years later. It ceased being a school in 1958 and is now a private residence.